Now that Payday 2 has just acquired a paid loot drop system, you can see his sentiment reflected everywhere in the heist shooter’s community. Witness the pages and pages of furious new reviews from Steam users with hundreds of hours on record. Have you played all 15 of our best PC first-person shooters? Goldfarb, who talked to Gamespot back in 2013, is no longer with Overkill. A system introduced this week populates Payday with random loot drops. Some are thematically-appropriate safes, which require drills to open. A drill costs $2.50, and is single use. So why are Steam’s masked murderers upset? There’s the fact that Starbreeze and Overkill are looking to squeeze further profit from players who paid for the game two years ago. That’s not unprecedented, of course – you imagine Overkill must have looked to CS:GO’s crate drops for inspiration. Then there’s the contents of those safes: weapon skins that bestow increased stats on paying players, and can be sold on the Steam Community Market. Payday is exclusively co-op against AI, so there’s no competitive balance to worry about – but some of those Steam user reviewers complain about being locked out of the game’s best weapons, having already paid out for a long run of DLC. 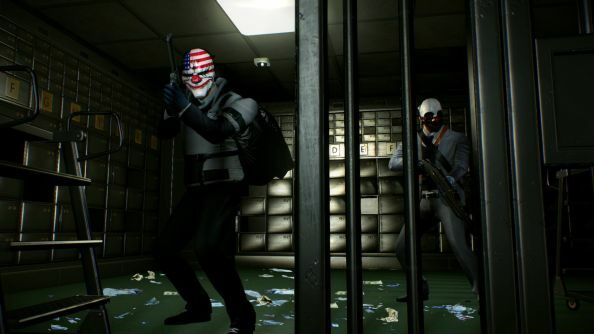 Payday 2 is still in the midst of Crimefest 2015 – a ten day event of daily updates and rewards. When did you last pull on a sock and head for the nearest bank?